Gorgeous dress for girls 7 -16 speaks to carefree times and easy warm weather days. 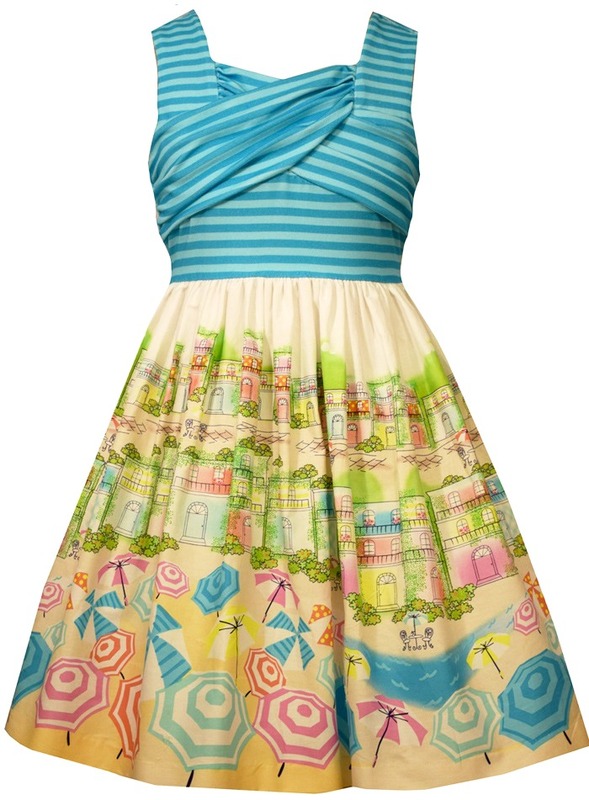 Adorable French inspired printed dress features a stretch knit striped bodice. Fresh and unique, a pretty and colorful addition to her wardrobe. Machine wash. Back zip closure. Imported.